Immerse yourself in Angelina’s world, where magic and mysticism are part of her everyday life. Angelina was born remembering who and what she was, but at a very young age she asked the “Powers That Be” to let her forget, so that she could relive her awakening in these strange modern times. Then came the fateful day when it was decreed that Angelina must fulfill her destiny. This book takes you on a journey of self-discovery through Angelina’s years of awakening and amazing adventures. She explores the path of mystical initiation in a culture on the brink of cataclysmic change. 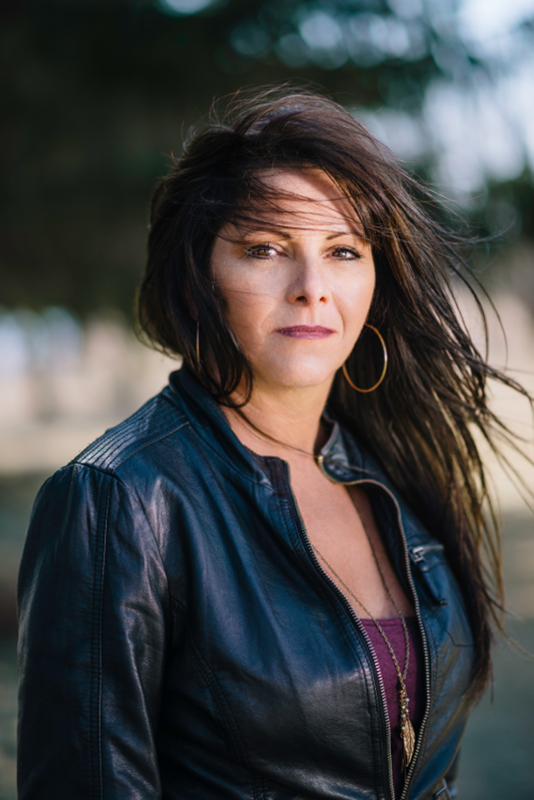 Her ability to speak the little-known language of the soul and her innate understanding of the sacred feminine energies begin to surface in her search for truth and understanding, as her gifts of clairvoyance, prophecy, and healing take over her life. Her attempts to understand her intuitive nature guide her to many wonderful teachers, as well as encounters with totem animals and spirit beings. Join Angelina and learn through her tale the truths about reality that we all need to know. My name is Angelina, and I come from a family of seers. Destiny chose me for this role from birth. You cannot read a few books or take a couple of courses and expect to be a seer or a healer. It never happens that way. From a young age, I just knew instinctively what this life had in store for me. My latest vision had me a bit flushed and annoyed at the magnitude of the information I had to process. I spent a few hours mentally replaying this prophetic revelation. The vision had come upon me like a drug. My body hummed and throbbed with sensations of energy, and I gradually fell into a deep, altered state of consciousness. This revelation would define the rest of my life in ways I could not imagine. Michèle Cleveland St.Amour grew up in a Franco-Anglican community. To this day, it greatly influences her work and her unique expression. Dedicated to a life of service, Michèle offers methods of self-transformation based on ancient wisdom teachings from many sources, including her Aboriginal elders. Not anchored in any belief system, she believes that health is a continual process of staying strong spiritually, mentally, and physically and that we must remain in harmony with ourselves, other people, our natural environment, and the conscious energies of Creation. Michèle’s passion for life and high energy touch everyone she encounters. Her keen mind and balanced heart help people overcome boundaries that no longer serve their highest good. Michèle lives simply in a solar-powered house in the Laurentian mountains of Canada, growing a good amount of her own food and implementing a sustainable lifestyle as much as possible in our modern world. She also gathers wild herbs and always plants a wide selection in her garden for various medicinal remedies, in keeping with her Native heritage. 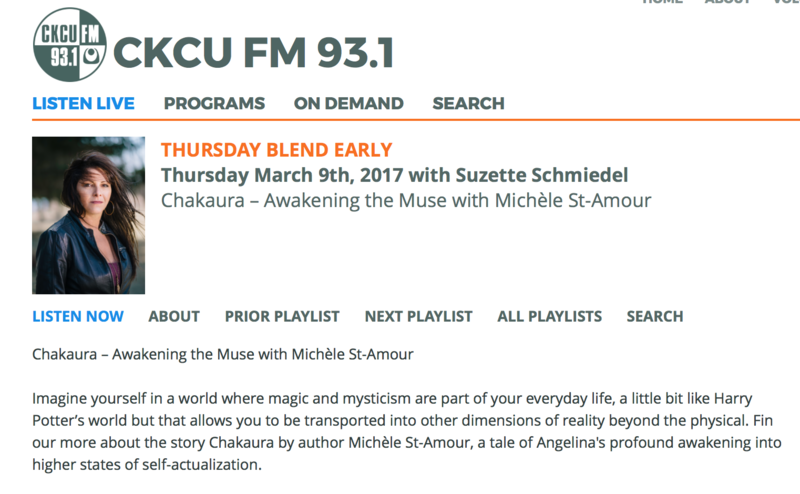 Michèle, a highly intuitive and gifted individual, mentors and guides countless people to self-realization at the Chakaura™ Institute of Soul, a clinical and educational centre where she offers many holistic servces and teaches programs surrounding the principles of natural health. Her specialty is knowing the Soul, its role, and how to bring soul consciousness to your life experience. This is one amazing book! I was sad to see it end, as it sure awakened my Muse. The author has opened the door to a mystic world of answers that I am sure many of us have and wish to unveil. As I hunger for this “Awakening” in the spirit world and of my soul, it was as though I was reading my life and yearnings on answers and questions I may have had and now I KNOW. 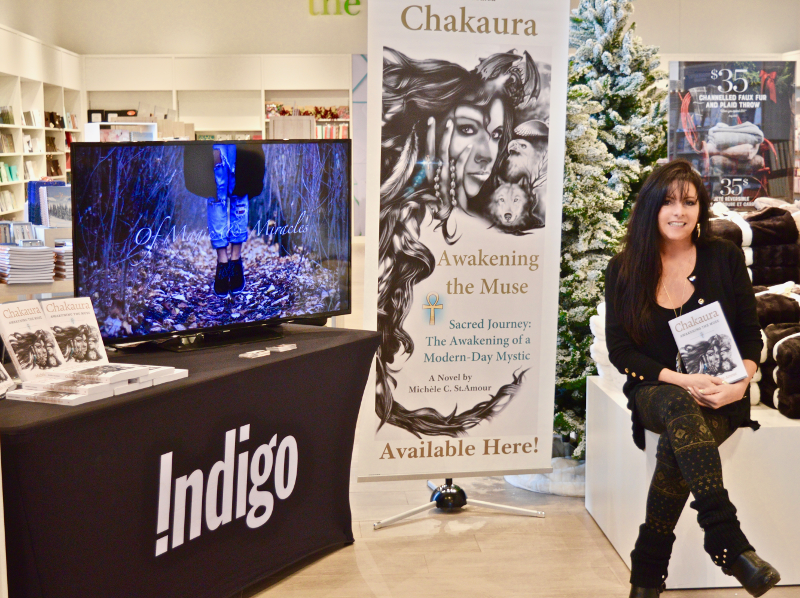 I am so looking forward to continuing my journey at “Chakaura Institute of the Soul”. Congratulations Michele on your book and thank you for reaching out to us. 5.0 out of 5 starsWow! Magic & Mysticism in a grounded perspective. I so enjoyed this book. A magical and mystical world unveils that is a part of each persons reality if we only pay attention. The author obviously knows of things mystical and wonderful. I can’t wait for the second book to be published! This is a must read for everyone! The author also has a video book trailer f you want to see more. I added the link for the video so just cut and paste it into your browser. Just wonderful!! !..definitely look for a movie to come from this! I sure hope so! What an amazing book to discover, read and re-read as it has multiple layers. It help me understand, realize and answered many questions. I was kinda sad to see the end of this book but, fortunately I heard that a second will soon follow. I highly recommand this book. Take the time to read it, ingest it, digest it and re-read it. 5 tumbs up!! 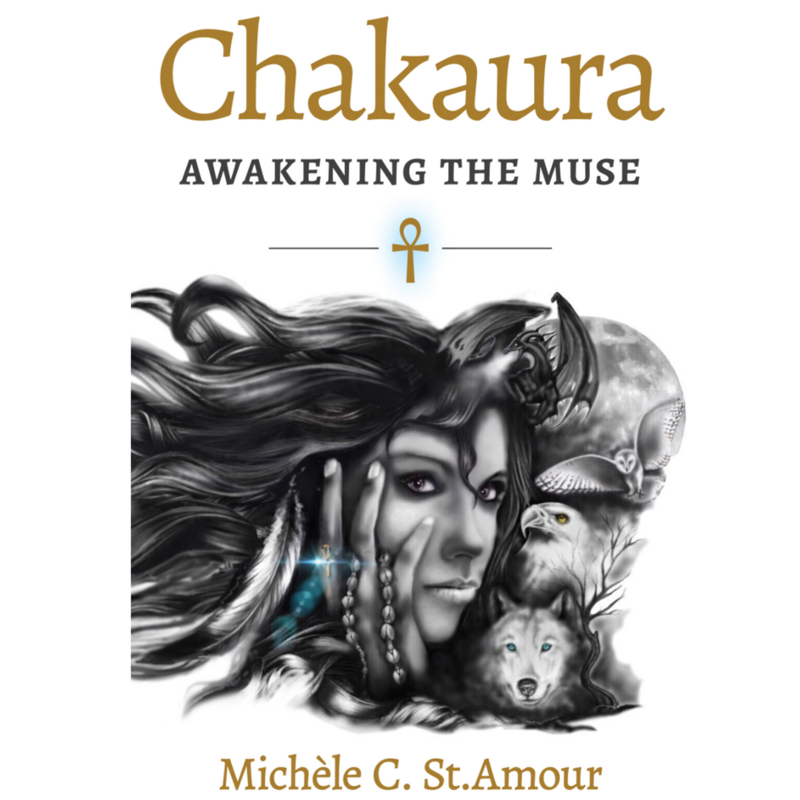 Chakaura: Awakening the Muse, Sacred Journey of a Modern-Day Mystic is a mystifying novel written by Michèle C. St. Amour which parallels the author’s own spiritual awakening. Angelina comes from a family of healers and seers. She grows up with special abilities she does not understand like knowing things that will happen in the future and seeing things that other people do not. She learns, eventually, that she is born with full consciousness and completely aware of her purpose for coming into the world but asked for this awareness and for her memories to be taken away. She chooses to grow up in ignorance as she believes she has a lot to learn from this new era. She studies under different teachers and meets and befriends other mystics though some are not as powerful and as talented as she. As her abilities surface, she encounters other mystical beings like the Earth deva and the Wolf Woman and experiences various mystical phenomena like levitation and precognition. Told in the first person perspective of Angelina, this is a bewildering story of an extraordinary woman’s spiritual awakening as she rediscovers her gifts and the extent of her mystical powers. The author uses casual words in conversational tone to make an otherwise esoteric subject easily understood. She keeps the book interesting by introducing Angelina’s powers one by one which include communing with and commanding the elements, ability to influence the weather, ability to time travel, communing with Earth-bound spirits among others. Michèle C. St. Amour successfully uses flash backs to pique interest and entice the readers to keep on reading and join Angelina in her journey to self-discovery. Despite her mysticism, Angelina is a very relatable character with her love for fashion and her spontaneity regarding her sexuality, while her tendency to ignore her intuition makes her just like anybody else. She is the epitome of a strong woman, who rises above everything life throws at her, with a good heart who is willing to help out with everything she has. The author’s descriptions of Angelina’s visions, astral projections and time travels are very educative especially for those who are totally unfamiliar with these phenomena. Her warnings regarding the use of mystical powers without proper training speak of her utter respect for these powers while the inclusion of negative encounters with other mystical beings is a responsible gesture to remind other soul practitioners to be always on their guard. However, though this is a very interesting, informative and enlightening book, skeptical readers may find the subject inconceivable and the book itself may not be taken seriously. I, therefore, rate this book 4 out of 4 stars. I enjoyed it a lot. I love the stories Angelina shares. They are very interesting, informative and quite entertaining. The book is well written and easy to read and I recommend it to readers who believe in religious mysticism. Some topics, however, may be too profound for young readers.